To put together and build your website, you will be primarily using our block based content builder tool. This allows you to quickly build content that will provide a consistent experience across all devices and platforms. In this section, we will also cover how to add additional pages to your site and edit your website info. Whilst editing a Content Page, you will be using our content building tools. Here you will be building a page by adding various content blocks onto the page. To edit a page and add content to it, click on Content in the Top Menu and then clicking on the pencil ‘Edit This Page’ icon next to the page you want to edit. If you have just set up a new Create account, a default homepage will already be added to your account. This page will be filled with placeholder images and text, based on the template you have chosen. For this guide, I’ve selected the ‘Espresso’ template. 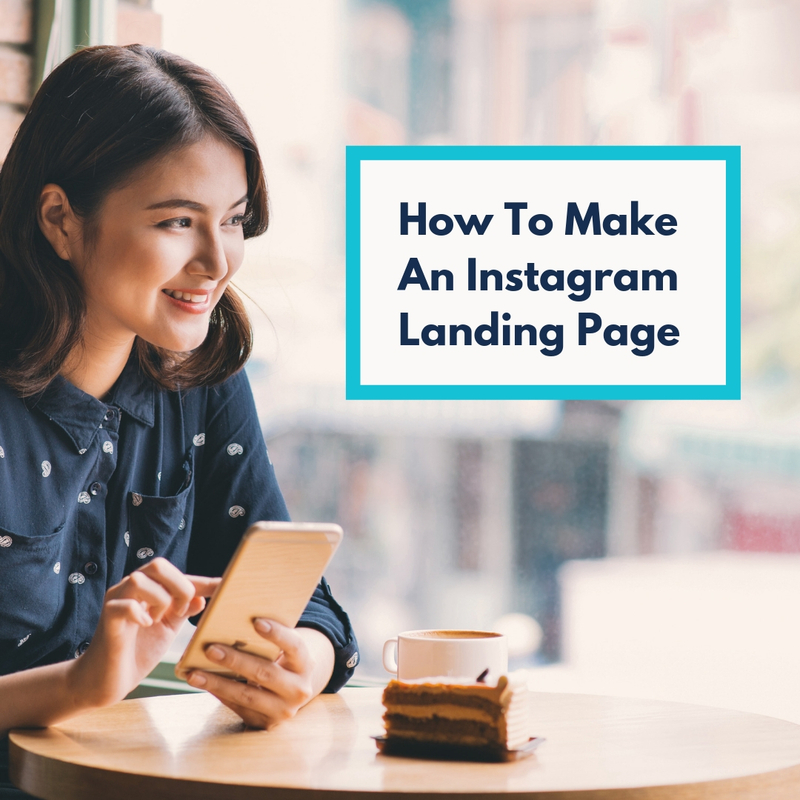 Using the existing placeholder content on the homepage, you can replace the example content with your own images and text. Depending on the type of block added it will either contain a placeholder image(s) and/or text. To replace the image with your own, place your mouse over the image and a small pop-up menu will appear, as shown below. Clicking on the first icon, ‘Image Settings’ will open up a new window. 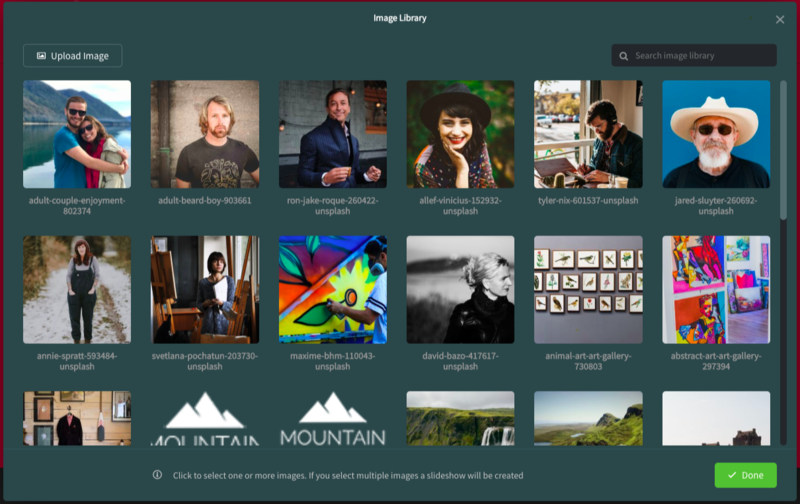 Clicking on the ‘Select’ option for Image Selection will display all the images you have already uploaded along with the option of adding a new one. 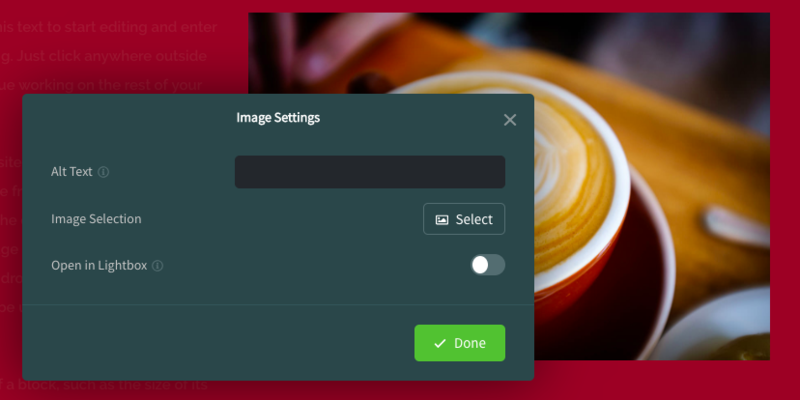 In this menu, you can either select one of the images you have already uploaded to Create (if any) or upload a new image from your computer by clicking “Upload Image” and selecting it in the file browser window that appears. 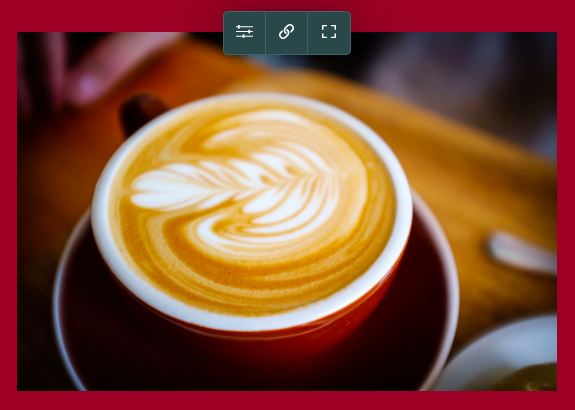 Selecting the image you wish to use will add a green surround to the image (selecting multiple images will add a slide-show) and then click ‘Done’ to switch the placeholder image with your own. To change the placeholder text to your own words, move your mouse over the existing text and click. Create will highlight all of the text and a text-edit pop-up menu will appear. Once highlighted, the existing text will disappear when you start to type your own words. Using the pop-up menu, you can add bold, italic and bullet points to your text. When you have finished adding your own text, click the tick icon to finish. If you wish to add more content to your page, this can be done by adding a new Content Block. On the content builder screen, in the lower-left of the screen is a toolbar. To begin adding content to the page, click on the ‘+’ icon shown in the lower left of the screen. The Block Selector menu will slide in from the left-hand side of the screen. By default, the Popular category is selected. This is a group of our most popular blocks and is a good place to start with. You can scroll up and down the blocks to see the selection. Clicking on the Popular category will display a drop-down menu of the different block categories. There are many different types of content blocks you can add to your website and they’re worth exploring in further detail. For this guide, we’re going to focus on the ‘Inline Image & Text’ block, found in the Popular category. Many of our blocks have different variants. 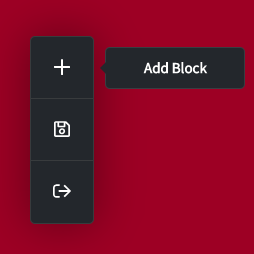 If you see a block with the words ‘>Show Variants’ displayed, you can click on this and alternative variations of that block will be displayed. To add any content types, it’s simply a case of clicking and dragging the block from the left-hand panel onto the main preview area. 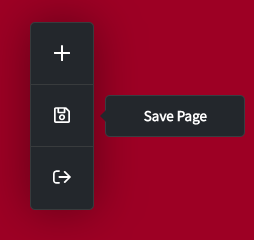 After adding several different content blocks and replacing the images and text with your own, remember to save you progress by clicking the ‘Save Page’ icon in the toolbar. 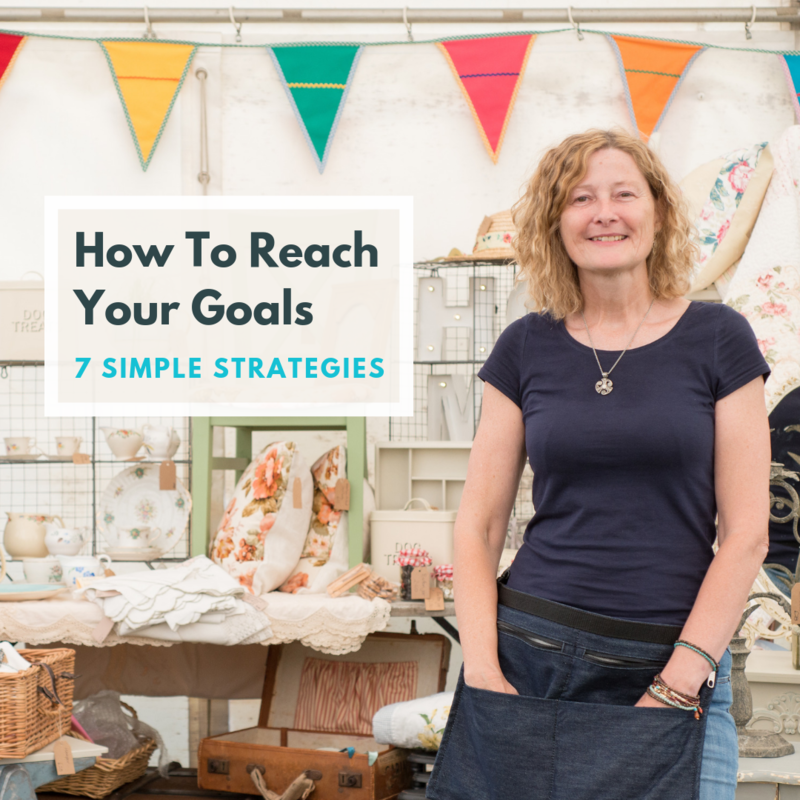 Once you have finished adding your content and text to the homepage, you may wish to add another page/section to your website. To do this, from the Content screen in your account, click on the green “Add Page” button. Create will ask you what type of page you wish to add, choosing from ‘Content Page’ (our default page), ‘Calendar of Events’ and ‘External Link’. Selecting the ‘Content Page’ is ideal for adding further content of your own. Once a page type has been selected, you will need to enter the page details, such as the page and menu display name. When ‘Content Page’ is selected, Create will then ask you to pick a Page Preset. Select one that best matches the type of page/section you are wishing to add or pick the blank template and start with nothing.